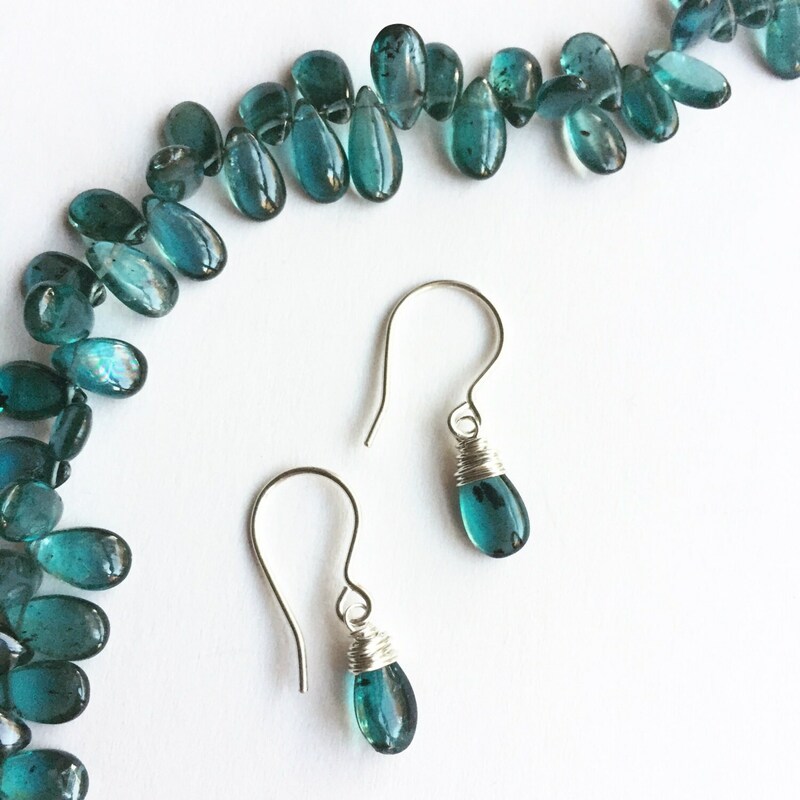 These incredibly colored teal earrings are a rare shade of kyanite called imperial kyanite. 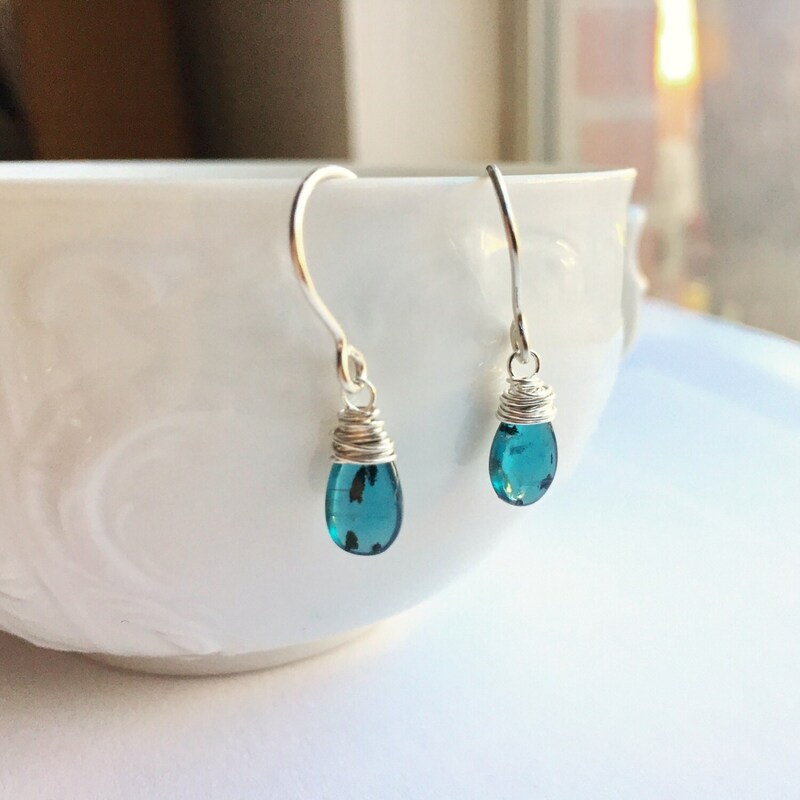 They are handmade by meticulously wrapping the high-quality natural gemstone with sterling silver or 14k gold fill wire. All wire elements are hand-shaped, including the ear hooks. These earrings measure approximately 1" long. The kyanite briolettes are approximately 6 x 10mm. You can choose between sterling silver or gold fill. These were a present for my mom and she loves them. They are exactly as described and pictured. I will definitely buy from Eryn again.